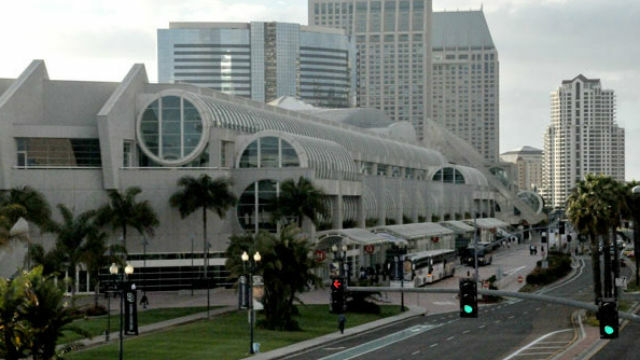 The San Diego City Council Thursday rejected an initiative for the November ballot that would have raised the hotel tax to fund convention center expansion, homelessness services and street repairs. A nearly identical citizens’ initiative appeared headed to voters until Wednesday, when the city clerk’s office reported that a random sampling of the campaign’s more than 114,000 signatures fell short of the required threshold to place the issue on the ballot. A signature-by-signature count will begin but likely won’t finish nearly in time for the Friday ballot deadline. Faulconer, who had supported the Yes! for a Better San Diego citizens’ proposal, pivoted Wednesday upon hearing of the failed signature-gathering effort and asked the council to consider approving for the ballot his own similar initiative during its Thursday meeting. The council didn’t actually vote on the initiative Thursday. Before that would have happened, they voted 4-4 on waiving the policy by which the council approves measures for the ballot, which was required to move the proposal forward on such short notice. Councilmembers Barbara Bry, David Alvarez, Georgette Gomez and Myrtle Cole voted against waiving the policy while councilmembers Mark Kersey, Lorie Zapf, Chris Cate and Scott Sherman voted in favor. Councilman Chris Ward wasn’t present for the vote. “The City Council talks a big game about making our city better, but when the time came for action all we heard were excuses,” tweeted Faulconer after the vote. Approving the initiative likely would have raised its required success threshold from a simple majority to two-thirds voter approval. The proposed initiative would have raised the city’s 12.5 percent hotel tax to 13.75 to 15.75 percent depending on the location of each hotel. The 42-year tax increase was expected to generate $5.9 billion.